> Comestibles>Peppers stuffed with goat cheese and capers. 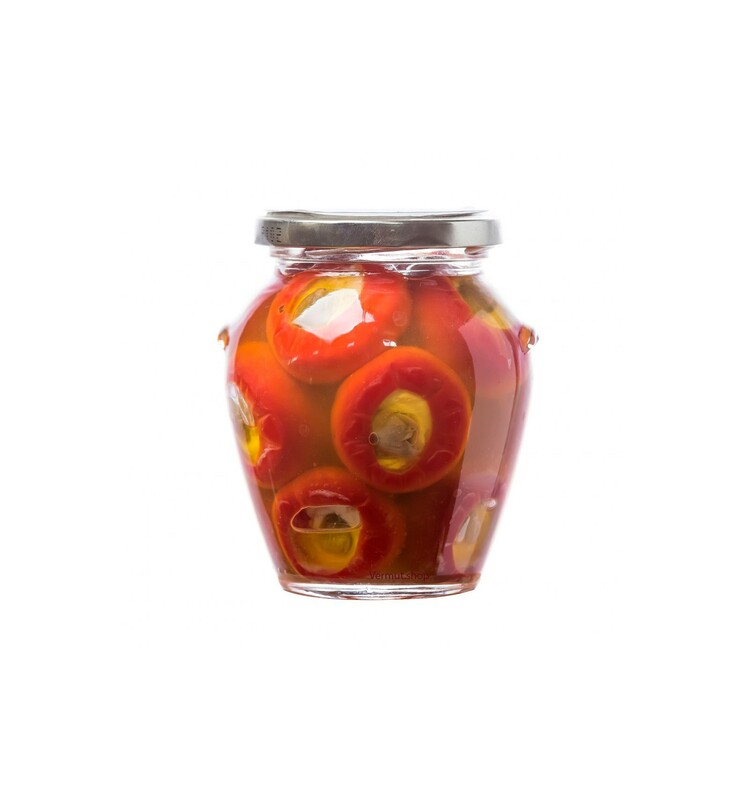 One of the most gourmet tapas we have in the store are the delicious mini peppers slightly spicy, stuffed with a cream of goat cheese and topped with a caper. All bathed in olive oil to enhance and preserve. 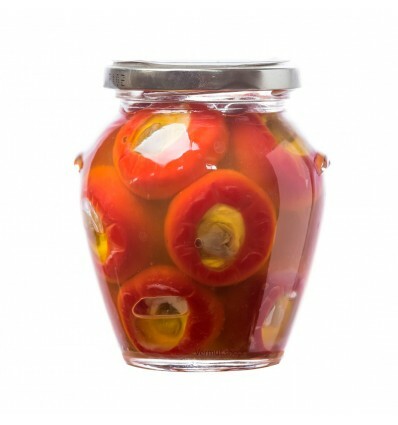 A small delicacy that once you try one you can not stop devouring all the other peppers. Delicious!